The Victorian Government has expressed support for nearly all of recommendations from the Victorian Access to Justice Review (the Review), commissioned by the Victorian Labor Government in 2015 and undertaken by the Department of Justice and Regulation. The aim was to identify ways to improve access to justice for Victorians, especially those who are disadvantaged and vulnerable. The Victorian Government agreed with 57 of the 60 recommendations, with the remaining three currently under further consideration. Among the most significant recommendations, the Government agreed to make Victoria Legal Aid the primary entry point for legal information and assistance, and the State’s legal assistance system manager, thereby putting Victoria Legal Aid clearly at the centre of the legal assistance sector so far as the public and the community legal sector is concerned. Notably also the Victoria Law Foundation is to change its emphasis to become a centre for excellence on Access to Justice research and data analysis (similar to the NSW Law and Justice Foundation). The Victorian Government should seek amendments to the Civil Procedure Act 2010 (Vic) to allow an order for costs to be made in favour of a party represented on a pro bono basis, whether or not the party has a legal liability to pay its lawyers. The Government agree to this noting that the Supreme Court of Victoria has recently amended its rules in relation to pro bono costs orders, consistently with the recommendation. 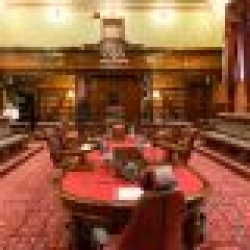 The Victorian Government, the Law Institute of Victoria, Victorian Bar, Justice Connect and the Federation of Community Legal Centres should work together to develop and implement strategies to recognise and promote the pro bono contributions made by the legal profession each year, including during Law Week. The Attorney-General should work with professional associations to establish and sponsor a new pro bono contribution award or recognition scheme, which recognises innovative pro bono relationships between community legal centres and law firms. To read Access to Justice – Government Response, please click here. You can also read the Access to Justice Review: Report and Recommendations Volume 1 and Volume 2.